Learn how to install WordPress plugins in easy steps. In this article, I will discuss 3 Different Methods to Install WordPress Plugins. WordPress plugins are useful for tweaking your WordPress website in many ways. You can do almost any change in design, SEO and functionality of your WordPress with the help of plugins. WordPress is world’s most popular CMS (Content Management System) for setting up a blog. There are many reasons for the huge popularity of WordPress among bloggers and web developers. Availability of the variety of plugins is one of the major reasons for the immense success of WordPress as a blogging platform. There are two popular methods to install WordPress Plugins. Why are preliminary checks necessary before installing a WordPress plugin? The answer is – a badly written or a malicious plugin can harm your WordPress. It can break design, functionality etc. 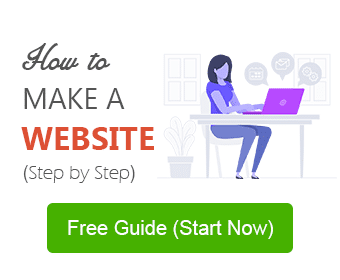 of your website. However, WordPress monitors to make sure that no such plugin get published in WordPress plugin directory. But it is always your choice to be aware of what you are doing with your website. 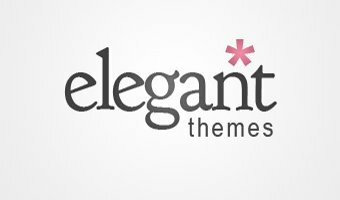 How can you find a good and efficient plugin for a specific task or feature in WordPress? There may be many ways to find a good WordPress plugin, ranging from Google search to a friend recommendation, from a bloggers’ recommendation to self-experimentation etc.-etc. Few things which you should keep in mind while choosing a plugin – check it’s compatibility with your WordPress version, users review, and the number of downloads etc. And if you are not in haste then you can also check information about publisher of the plugin. In this method, all you to need to do is – go to your WordPress Dashboard and click Plugins>Add New. Clicking Add New will take you to the WordPress plugin directory search something like in the screenshot below. Type plugin name or plugin related keyword(s) in the plugin search bar and hit enter. In this example, I am installing WP-Optimize (a plugin for WordPress database optimization). In next screen, you will see Plugin Search Results for your query keyword(s) just like in example screenshot below. You can find your desired plugin from the search results. WordPress provides details of the plugin like user ratings, name of the publisher, compatibility with WordPress version etc. for your ready reference. Once you are sure that you have got the desired plugin, click on the Install Now button to start plugin installation. This will take some time depending upon the size of plugin and your internet speed. When the installation is completed you will see a screen like below with message “Successfully installed the plugin ‘plugin name‘”. Click Activate Plugin to activate this plugin or click Return to Plugin Installer to install some other plugin(s). If you choose not activate this plugin from this screen, you can do that from Dashboard>Plugins>Installed Plugins option too. This method is useful when you have a plugin in .zip file format. For instance, you want to install a third-party plugin (may be a premium plugin) or a plugin you downloaded from WordPress Plugin Directory. In that case, you need to go to Dashboard>Plugins>Add New. Clicking Add New will take to next screen. In that screen, you will notice Upload Plugin option. Click that button, you see will see a screen like below. Click Choose File button and select .zip format plugin file from your local disk. After that click Install Now to start installation. In this example, I am installing Yoast SEO plugin, so I selected .zip file from local disk. Plugin installation will take a while depending upon plugin file size and internet speed. On completion of installation you will be notified that plugin installed successfully. The activation process of plugin will remain same as in above method. Yes, you can directly upload a plugin to web hosting server where your WordPress site is hosted. For doing this you need a FTP client like Filezilla and your web hosting credentials (username, password, hostname etc.) to have access to your web hosting through FTP client. You should use this method only if other two methods do not work for you. Better to avoid this method unless you are not sure that what you are doing. Login to your web hosting account. Look for wp-content>plugins folder of your WordPress. Unzip .zip file of plugin on your computer. Upload unzipped folder of plugin to wp-content>plugins folder using FTP client. After completion of upload go to Dashboard>Plugins>Installed Plugins. You will see the plugin, you uploaded via FTP client in the list of installed plugins. If you are not seeing that plugin refresh Installed Plugin page. Activate plugin from installed plugins page. Also read: How to Install WordPress on Your Computer Locally for initial setup and testing of WordPress website or theme. No need to buy a domain or hosting as this setup will be installed on local disk of your computer. I hope this guide will help you to install WordPress plugins. If you are facing any problem applying these methods, let me know. I will be happy to help.